Food processors look to compostability, recyclability and lightweighting to make their packages ever greener. Not so long ago, sustainability was a nice touch for a food package but completely optional. Gradually that's changing, with eco-friendly packaging becoming a must-have feature in an increasingly green-conscious marketplace. In a recent white paper, "Targeting the Green Consumer through Fresh Packaging," Evergreen Packaging (www.evergreenpackaging.com) explored "what the growing number of green-leaning consumers want out of packaging," says Erin Reynolds, senior marketing manager-dairy at the Memphis, Tenn., company. The company found "as consumers make purchasing decisions at the grocery store shelves, packaging that conveys a brand's commitment to environmental responsibility is likely to receive positive attention from consumers with increasing awareness on this topic." she says. "Consumer purchasing decisions are increasingly influenced by thoughtful consideration about packaging's environmental footprint," she continues. "In fact, consumers have conveyed that packaging is a major driver of their green purchases." That may be even more true for consumers of natural and organic products. "Our customers are generally socially and environmentally conscious, and they gravitate toward our brand for a lot of the things we do on that level," says Brian Durkee, vice president of operations at Numi Organic Tea (www.numitea.com), Oakland, Calif.
For Numi, eco-friendliness has been part of the brand mission since its founding in 1999. The company has executed numerous packaging-related sustainability initiatives over the years. For example, for Numi's paperboard cartons, "We were the first [tea company] to convert to 100 percent recycled and 85 percent post-consumer waste," says Durkee. In addition, the cartons are not wrapped in cellophane, and Numi's tea bags are made using natural, biodegradable filter paper. The company also uses 100 percent soy-based inks and a water-based varnish, which eliminates petroleum products in the printed cartons. As part of a brand refresh in January 2011, Numi not only spruced up its package graphics but also reduced the weight of its cartons by 15 percent. "Some people don't pursue reducing [package weight], because it's so much less glorious than coming out with some innovative, new sustainable package. But the best thing you can possibly do is just use less packaging." Durkee adds that lightweighting the cartons reduced Numi's total packaging use by more than a million pounds annually. To communicate the brand's good green work, the company prints an eco-audit on the bottom of each tea carton. The audit shows conservation data, including trees saved, prevention of greenhouse gas emissions and reductions in landfill, energy and water use. The information is updated about every eight months using the Environmental Defense Fund Paper Calculator. In early 2012, sustainability nonprofit GreenBlue (www.greenblue.org), Charlottesville, Va., plans to launch a national pilot program for its new recycling label. GreenBlue's Sustainable Packaging Coalition (SPC) developed the voluntary label, known as the Packaging Recovery Label System, to help consumers properly recycle packaging components. The five pilot-program participants represent various industries, including food processing and retailing. ConAgra Foods and Costco Wholesale are two of the participants. The new label, with a wealth of consumer testing and three years of research behind it, is consistent with the Federal Trade Commission's "Green Guides" and incorporates updated recyclability data gathered from across the U.S. The label is based on the UK's successful On-Pack Recycling Label (OPRL) scheme. The new Packaging Recovery Label System uses icons and text to flag each package component as recyclable, not recyclable or not recycled in all communities. 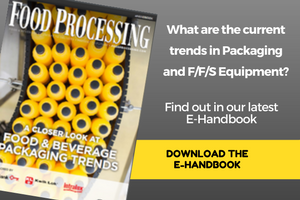 The effort has special significance for the food industry, because "food packages are among the most complex," says Anne Bedarf, project manager for GreenBlue's SPC. "By providing guidance -- saying ‘not recycled in all communities, make sure to check locally' -- we're giving a little bit of extra information that we hope will turn people on to being in touch with their systems locally. Ideally, over time, all these things will be widely recycled." The labeling system's consumer website (www.how2recycle.info) provides information about the label, including how to check for local recycling. Numi plans to take its packaging even further down the path of zero post-consumer waste in the coming year by converting to a greener film component for its tea-bag overwrap. The current overwrap is 72 percent paper (made from 100 percent post-consumer waste) and 28 percent oriented-polypropylene (OPP) film. Although the overwrap's paper component and paper-to-plastic composition will stay the same, Numi intends to replace the OPP film with one that is 100 percent biodegradable, certified home-compostable and not made using genetically engineered corn or other genetically modified organisms. The company has been working with Innovia Films (www.innoviafilms.com), Wigton, England, to create a film with all these attributes plus compatibility with high-speed heat sealing. The experimental film, which is based on Innovia's NatureFlex NKR film, is made from renewable Forest Stewardship Council (FSC)-sourced plant materials — 90 percent eucalyptus and 10 percent aspen. The film also incorporates a thin layer of plant-based material that enables heat sealing. "This bio-poly layer is certified home-compostable and GMO-free, just like the rest of the film," Durkee says. Numi and Innovia have run the film successfully in tests, with effective heat sealing at high speeds. The film's price is the only remaining hurdle. "The reason we haven't launched it yet is the cost," Durkee says. "We are now working the economics of the film to make it commercially viable." After Numi replaces its current overwrap with one containing the home-compostable film, which is likely to happen in 2012, it will have a completely recyclable/compostable package. The soy-ink printed cartons already are recyclable and the tea bags compostable. Making the overwrap material home-compostable will finish the job, enabling Numi "to generate zero waste after our consumer consumes the product," Durkee explains. "It really is going to be a game changer." Consumer follow-through will be necessary to realize the zero-waste goal, but Numi's consumers are more prone to be home composters than the average consumer, Durkee says. "So our brand is a really good vehicle to get this going." Another natural/organic food company (which asked not to be identified) recently made the secondary packaging for one of its nutrition bars' multipacks more environmentally friendly by switching from paperboard cartons to stand-up pouches. The switch has reduced the brand's consumption of packaging materials and also has reduced the weight of the multipacks, which in turn lowers transportation-related greenhouse gas emissions. Also, significantly, the pouch is recyclable. It carries the "No. 2" recycling symbol and can be recycled with high-density polyethylene (HDPE) grocery bags. In contrast to conventional stand-up pouches, which are made using film laminates that contain multiple plastics, this leading brand of nutrition bars' pre-made pouches are made from non-laminated HDPE. Cincinnati-based Ampac (www.ampaconline.com) supplies the package, which it calls the No. 2 Pouch. According to Ampac, the pouch provides a high moisture barrier and "excellent" puncture resistance while supporting higher-end graphics and costing less than laminated stand-up pouches. Food applications include not only multipacks but also dry products like seeds, sugars, cereals and pet food. The resealable pouch holds 30 "snack-size" bars, with a net weight of 21.3 oz. The recycling symbol appears on the back of the pouch with text encouraging consumers to recycle or repurpose the package. The pouch's bottom gusset provides additional recycling information. Ampac reports that the No. 2 Pouch is approved by Trex Co. (www.trex.com), Winchester, Va., which converts 70 percent of the plastic bags collected in the U.S. into decking and railing products. "There are some ways to recycle [mixed-material films], but there really isn't an infrastructure" to do so, says Sal Pellingra, Ampac's director of innovation. However, "there is an infrastructure around grocery sacks … That's why we worked with Trex right from the start." Pellingra adds, "There's so much noise around the other green options. With [corn-based biopolymer] there's the potential to compete with food products, and also does it really compost the way it should?" In contrast, the new pouch "is very simple. Here is a package that's recyclable — it's one material rather than two materials." Ampac currently is distribution-testing a similar product, the recyclable No. 4 Pouch, which is made from low-density polyethylene (LDPE). U.K. grocer Waitrose took a different tack to packaging reduction when it redesigned the meat packs sold under its Essential Waitrose private label. The company switched from a standard meat tray to what it calls the Snip and Slide pack, which is a flow-wrapped package made of oriented polyester film. The first two products in the new package were fresh diced beef and minced beef. According to Waitrose, the switch will reduce post-consumer waste by 90 tonnes per year. Additional environmental benefits include less energy required to produce each package and more efficient shipping because the pouches take up less space on trucks. The latter promises to reduce both fuel use and greenhouse gas emissions. In another project, Waitrose reduced the thickness of bags used for salads, reducing package weight by 14.3 percent. The retailer also cut its smoked-salmon packaging by 50 percent. And by eliminating labels on its private-label egg cartons, the company estimates it will save 35 tonnes of packaging annually. A central issue in Waitrose's efforts — as all food-packaging redesigns — is to maintain or improve product protection and in so doing reduce food waste. "The smallest package is not necessarily always the most sustainable," says Ron Cotterman, executive director of sustainability for Sealed Air Corp. (www.sealedair.com), Duncan, S.C. "The packaging has to provide a function. "The trend now in the industry is not to look at packaging in isolation," he says, but rather in the context of the product. "One packaging type may not be optimal for a certain product and its distribution channel, but it may be perfect for another. It's not just about the packaging, it's about how the packaging gets used. It's not about what the packaging is, it's what the packaging does." As an example, Sealed Air's Cryovac food packaging unit worked with a meat processor to develop a ham package that would prevent product damage during distribution; the shank bone was causing package failures. "In that case, adding more packaging but adding it where the failure was occurring reduced damage across the whole supply chain," Cotterman says, citing a 73 percent reduction in package failures for the hams. The true success, though, was the reduction of food waste. For a product like a packaged ham, if damage "occurs early in the distribution chain, you might be able to recover that product. But if it occurs late, like in a retail case, all the energy that's been invested in that food product has been wasted. And that's when your investment has been highest," Cotterman explains. The goal, he adds, should be to recognize that packaging optimized for product protection and preservation throughout the supply chain "can actually be quite a powerful asset when you're trying to promote sustainability."